The wildflowers were blooming along Lake Mary Road on the southeast side of Flagstaff this past weekend…too beautiful to resist…too compelling to keep driving past without capturing a few images…furthermore, it was 80 degrees in the mountains…and close to 110 down in the desert…so it was a Sunday morning/afternoon well spent up north. 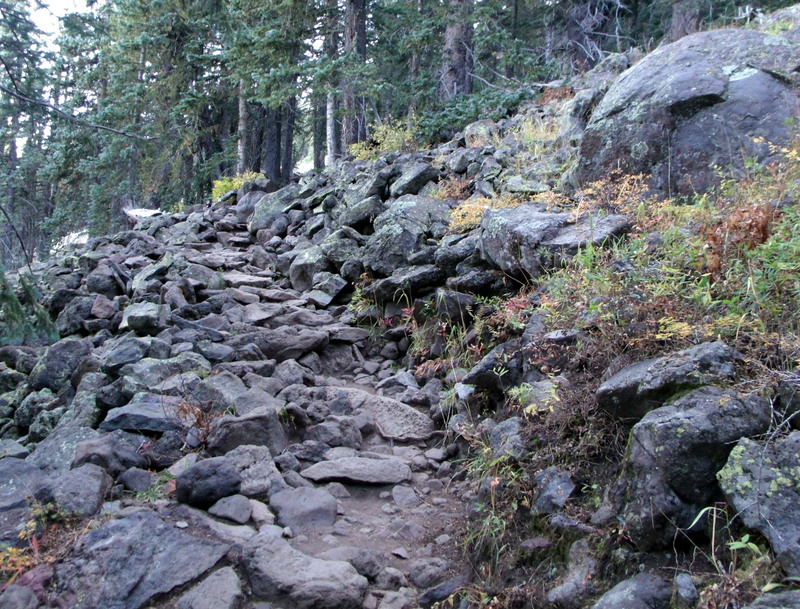 It’s almost funny how the best images from the hiking trip were from before I even arrived at the trailhead…. Taking Lake Mary Road from the freeway takes one, not surprisingly, past the stretch of mountain meadow that has been turned into upper and lower lakes/reservoirs…and then to another forest road turn-off that leads one to the Lowell Observatory, or to Marshall Lake. 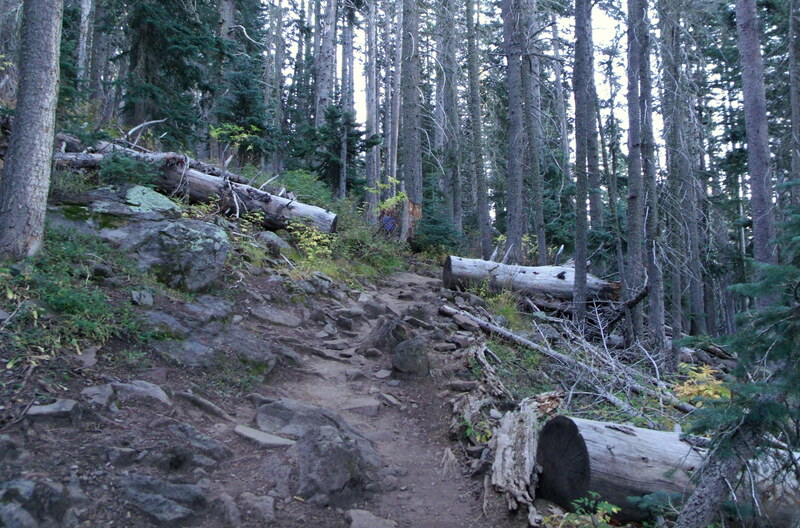 My destination was the Marshall Lake trailhead that would lead me down into the canyon and eventually to Fisher Point. Six or seven hours later found me with less than 100 photos of the excursion…and substantial joy (?) 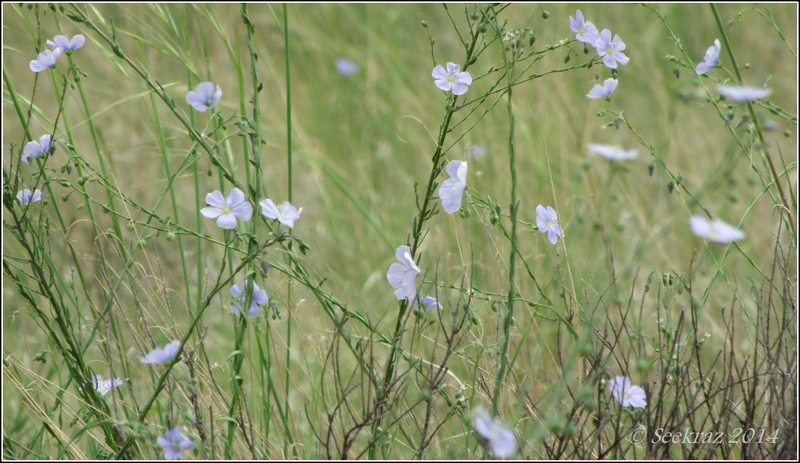 at how well (to my thinking) the images turned out from the lower Lake Mary…. It’s been close to two months since I made the almost 190 mile trek north to flee the city and its trappings and find a bit of solitude and soul restoration in the wilderness of the Kaibab National Forest (Williams District) located just south and west of Flagstaff. These lenticular clouds were an added treat as I found the silhouette of the San Francisco peaks in the distance…looking east. 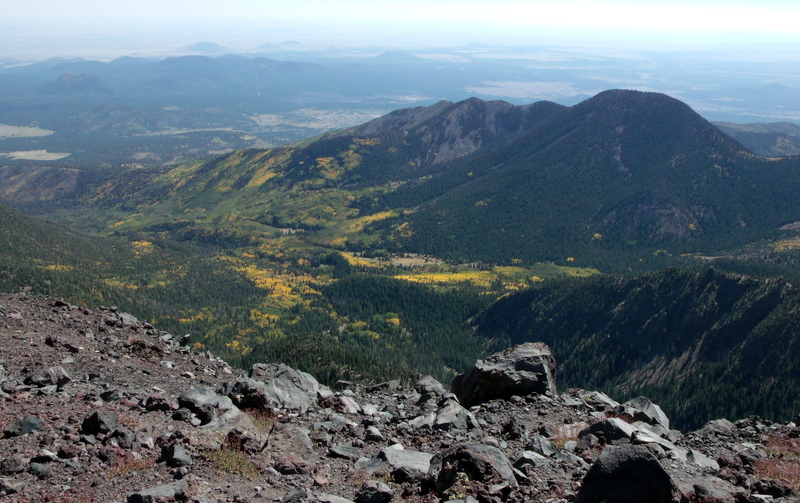 Humphrey’s Peak is at the far left of the ridge, the highest point in Arizona. 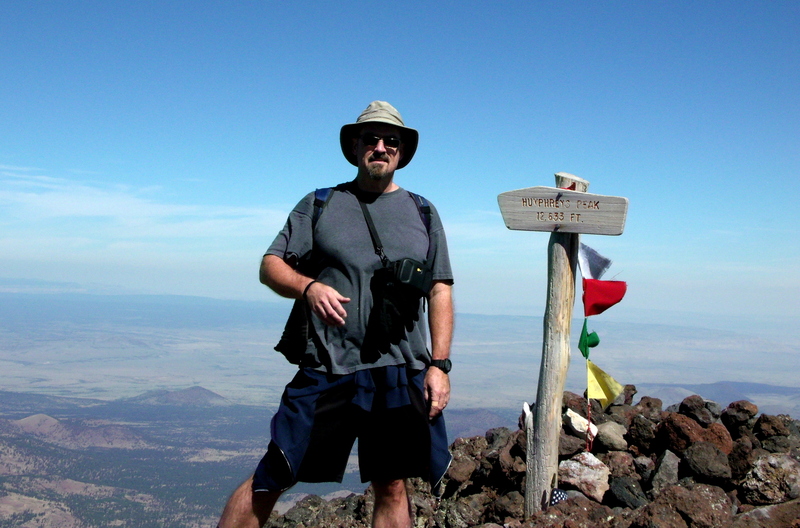 You might remember my hike to the top in this post. The weather forecast for the day said it was going to be partly cloudy up here…and those clouds in the first image were the only ones I saw for the entire six hours on the trail… No cloud cover, but excellent canopy cover in the forest…. 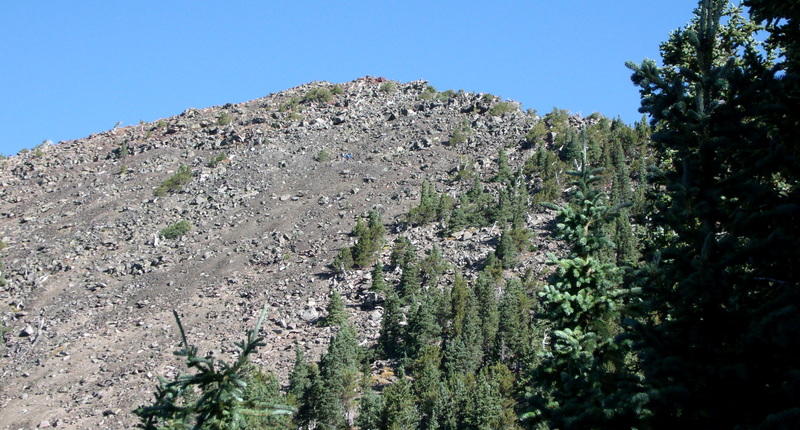 The day’s hike is actually the Sycamore Canyon Rim Trail…an 11-12 mile loop that starts in the Ponderosa pine forest, crosses some meadows, meanders up into an oak and cedar forest that covers KA Hill…goes back down into the Ponderosa, and then skirts the Canyon. 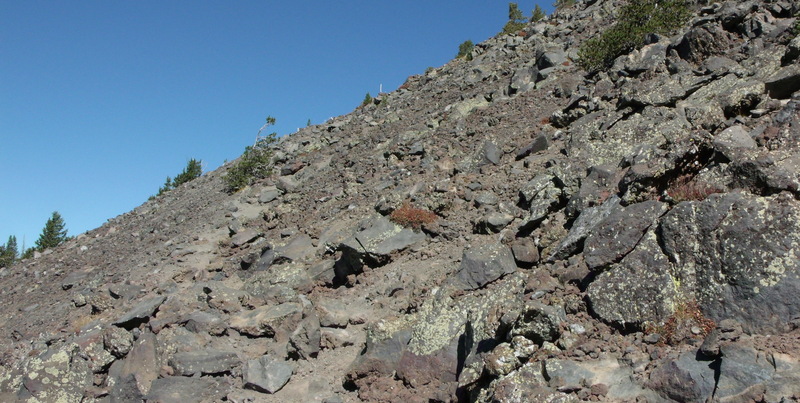 Coming out of the oak forest and making a fast descent from KA Hill through a mature Ponderosa forest quickly leads to this open area that looks like a lava field that is slowly being covered with wild grasses and less mature pines. I don’t know if this area has been burned in the last century, but the majority of the trees were much smaller than the surrounding forest. 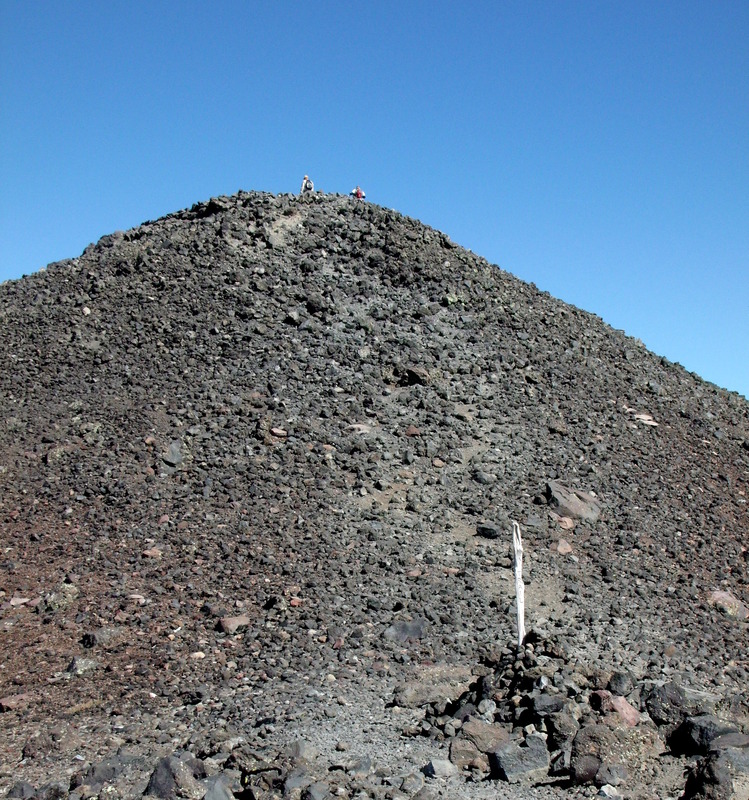 Maybe it’s because they’re growing in a lava field…. The drainage from the above field leads down into the natural pond/cistern in the below photo…. 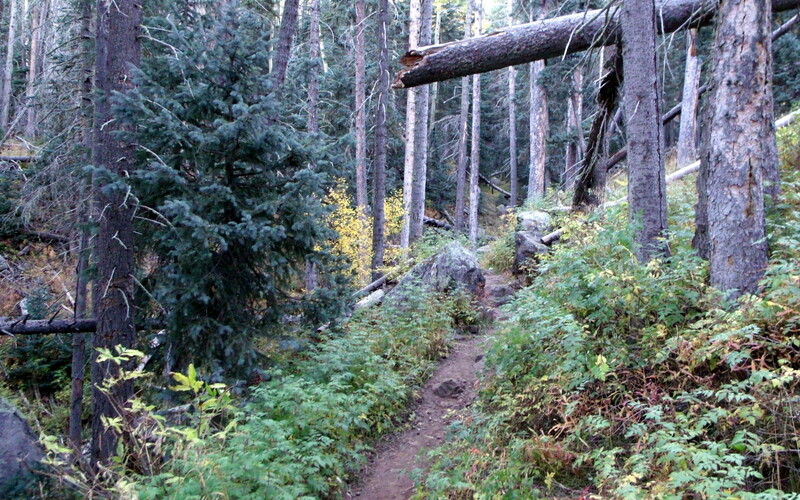 …and continues down into this stream bed that leads back into another forested area…. ….and probably less than a mile later, leads to this surprise…. ….a lava-wall-bordered pond with lily-pads…actual lily-pads…in a pond…in the high desert of Arizona….. Wow….! Two of the three people I saw on the trail all day….and their two dogs…. Another of the “Pomeroy Tanks” that are important water sources for the wildlife in the area. 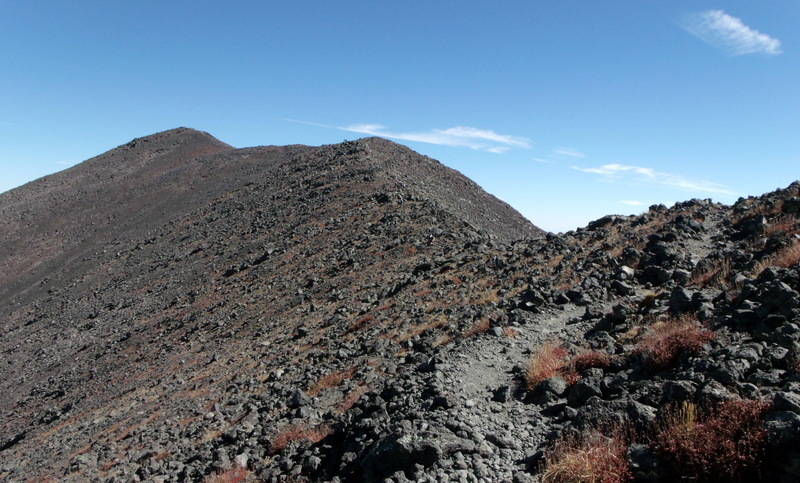 Heading back into the forest proper…crossing a dry stream-bed with more lava rocks….beautiful green…. The loop eventually comes to what are referred to as the Sycamore Falls…behind me and to the right in the below image…which was not flowing…and which is a favorite spot for rock-climbers to practice their skills. You can easily see the two guys in the below photo…but how about the guy in the one above….? I stopped to have a snack at the below location…on the eastern ridge of the canyon (looking west) with the falls to the right…where you can see a man in white above where the other two guys were climbing…. I think the stream-bed would be an excellent place to explore…for hours and hours…maybe even days or months….. I made a wrong turn…or took the path less-traveled that took me to the cliff-edge of the canyon…and had to turn-around, retrace my steps…find the real trail…back to the loop, but it was a beautiful diversion…with lots of compelling green. 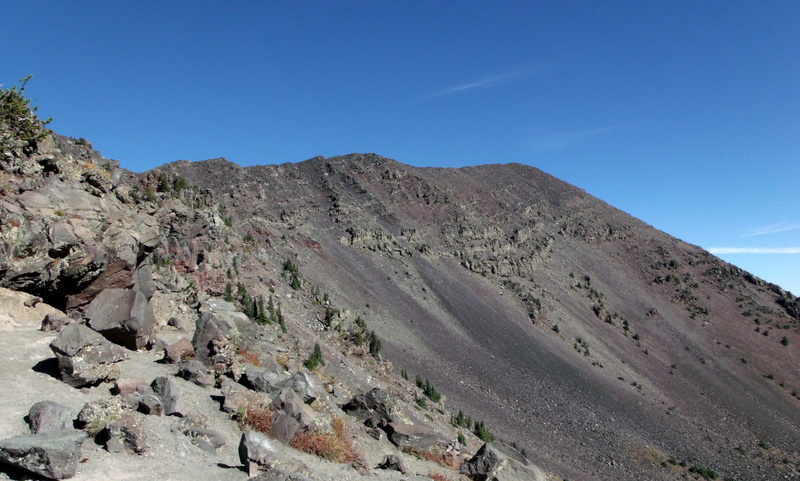 The trail eventually led up toward more of a plateau again…forest covered…with strong breezes and winds whipping and almost roaring through the tree-tops. With the lack of cloud-cover that I thought I would have for the day, the winds were welcome in keeping things from getting too warm when walking outside of the cover of the forest. Almost as surprising as finding the lily-pad pond shared above was the discovery of these Century Plants with their bright yellow bouquets…and attendant butterfly and humming bird. Another view of the actual canyon rim…provoking thoughts of what the place must have looked like when it was forming in the aftermath of the San Francisco Peaks‘ volcanic eruptions in those 200-and-some millions of years ago…. 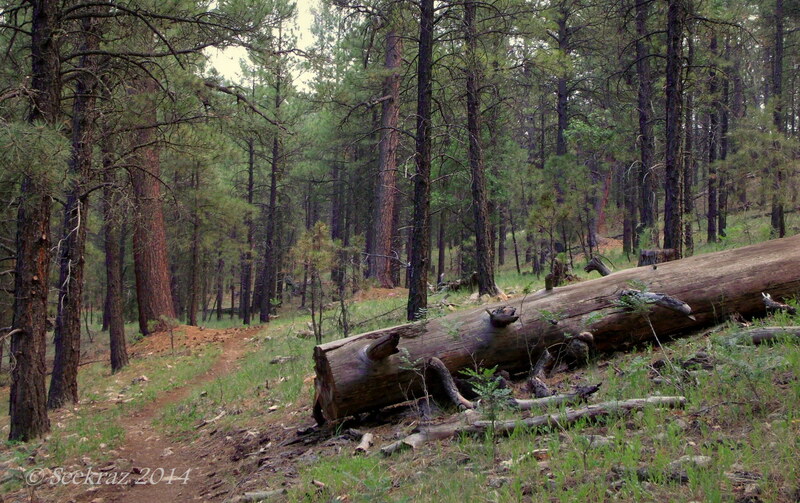 Thank you for visiting….I hope you enjoyed going with me along the Sycamore Canyon Rim Trail…amid the green, forested north of Arizona…. Just over two years ago, I took my first “Arizona hike.” I had journeyed up to the Coconino National Forest just south of Flagstaff and ventured along part of the Arizona Trail to the convenient turn-around location of “Fisher Point.” In reflecting upon this particular landscape feature, I have referred to it as a stone tee-pee, as that’s how it appears…. I suppose the mass might appear to be large enough on its own, but I thought the miniature human bodies would help provide a bit more perspective. The “doorway” of the bottom of the rock is a bit of a cave that doesn’t go too far into the rock…maybe 20-30 feet. Fisher Point, by the way (unless I’m mistaken), is atop this particular stone tee-pee. 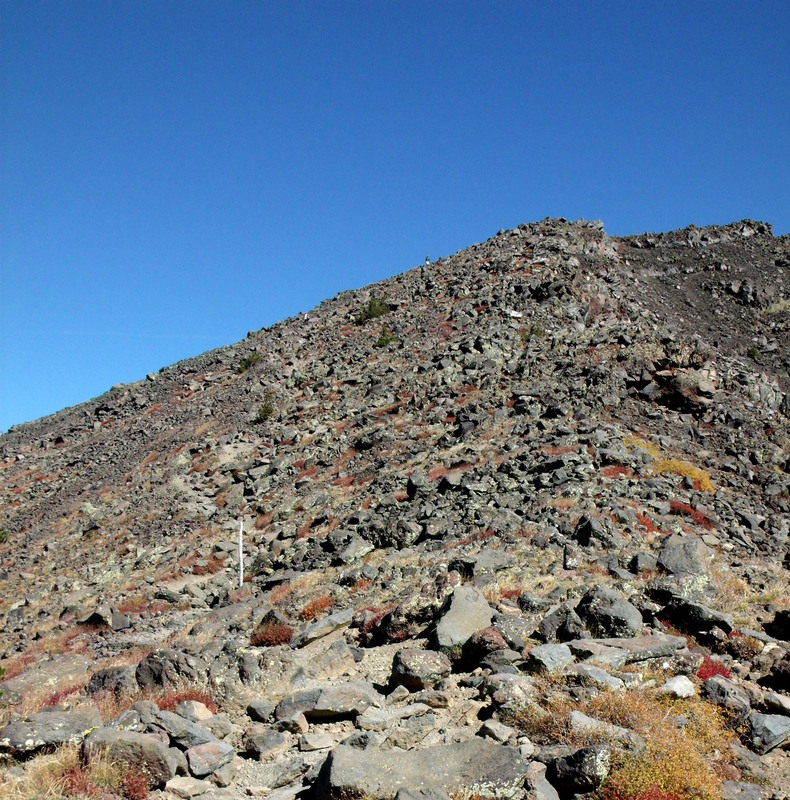 There is a trail that takes curious hikers up through the draw to the left of this rock, winds up and along the hillside, and finally deposits them at a safe distance from the edge that still allows a greater view of the canyons and meadows that exist around the Point. 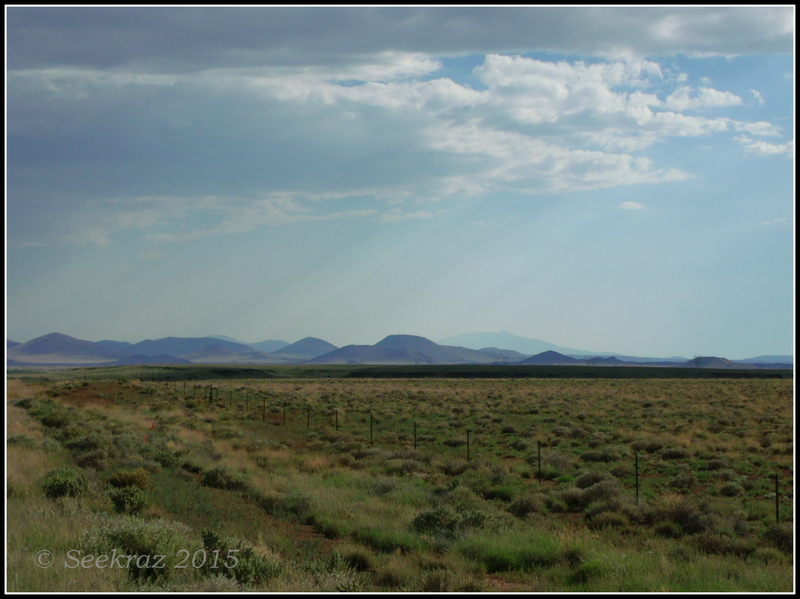 The prairie had a name…posted on a wooden placard roadside…west of Flagstaff and east of Williams…close to my destination and far, far away from home…that elemental and figurative place that exists in heart and mind…and has an elusive definition that encompasses both desire and acceptance….